I am recently back from a trip to Chiang Mai and Bali and I am more in love with traveling than ever!! There is something about Chiang Mai that makes me happy. I don’t know if it is the Thai people, the gorgeous weather, the fun of riding around in a Tuk Tuk, the incredible food or the fun of giving an elephant a bath. I travel for the experience of seeing how people from all around the world live their lives, how they are different from us, but mostly how they are exactly the same. This year on my trip to Chiang Mai I met Lamorna Cheeseman. Lamorna’s mother is a textile expert and author who came to teach at the university 30 years ago and met and fell in love with Chiang Mai and with the local women and their beautiful textiles. She started a weavers co-operative, “Weavers for the Environment” to help empower local women, at the same time helping to keep 2000 year old traditions alive. The raw materials for these scarves are all ethically grown in the mountains surrounding Chiang Mai. The fabrics are dyed using sustainably harvested plants, including indigo, bark and seeds. 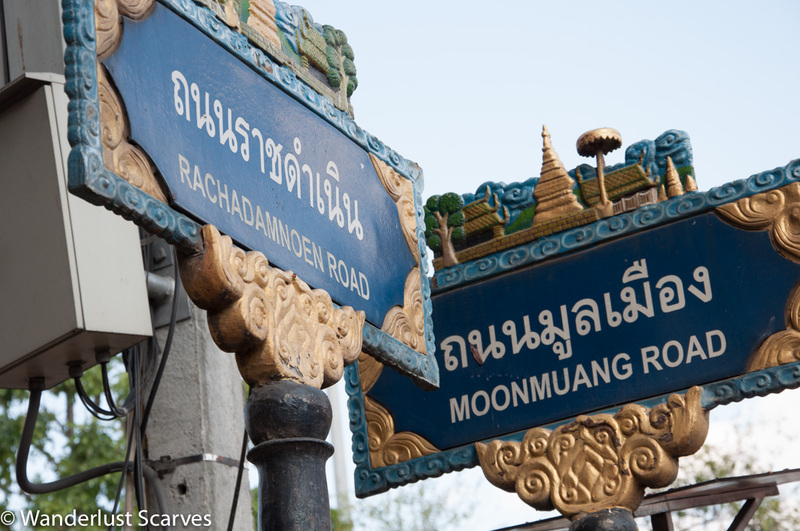 The studio is tucked away in the shadow of Doi Suthep on a quiet road away from the city. 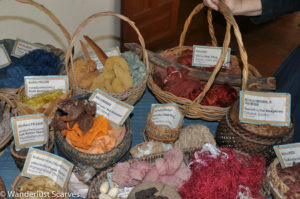 When I arrived there was a private lesson happening in the yard, and a weaver working in the back, hanging strands of dyed cotton drying in the shed next to the little shop. On the front porch was a display of all the plants and seeds used in the dying process. The atmosphere here was of an artist’s studio because that is exactly what it is, not paintings but textiles are produced in this studio. It is initiatives like this one that make my quest to find special scarves so rewarding. This is why I started Wanderlust Scarves. 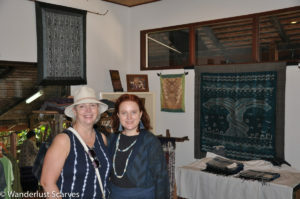 The scarves produced by these women are so special and I am so thrilled to be able to offer them to you. I will be adding them a few at a time to the website so please keep checking back. 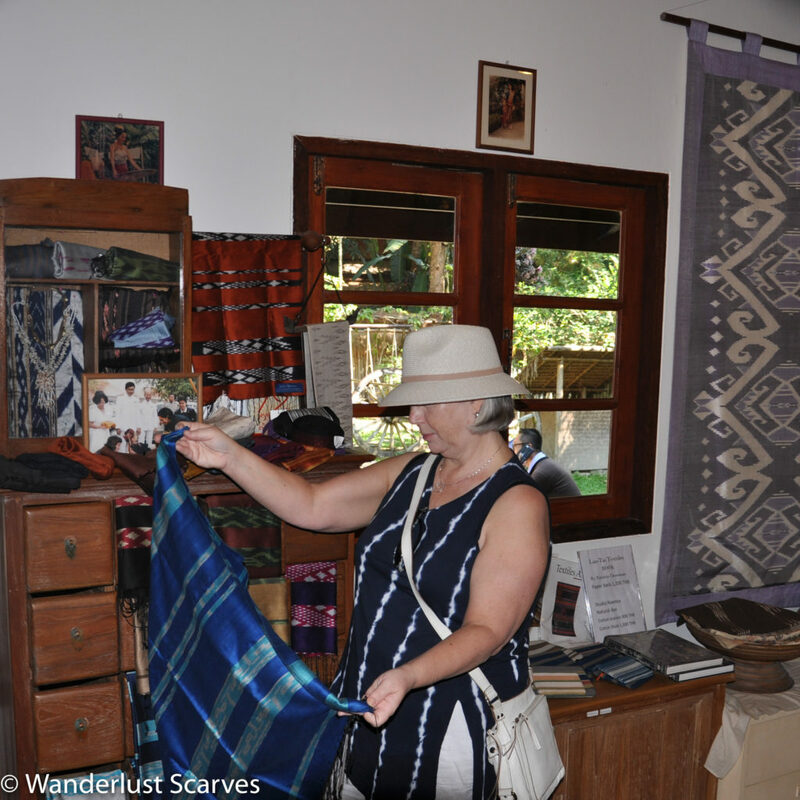 I will always offer a wide range of scarves for you, from the customer favourite Bamboo, to these extra special handmade scarves, but do love it when I have a story to tell about my scarves. Next time i will tell you all about my Balinese experience, and yes it was amazing. Love hearing about the story behind the scarves!